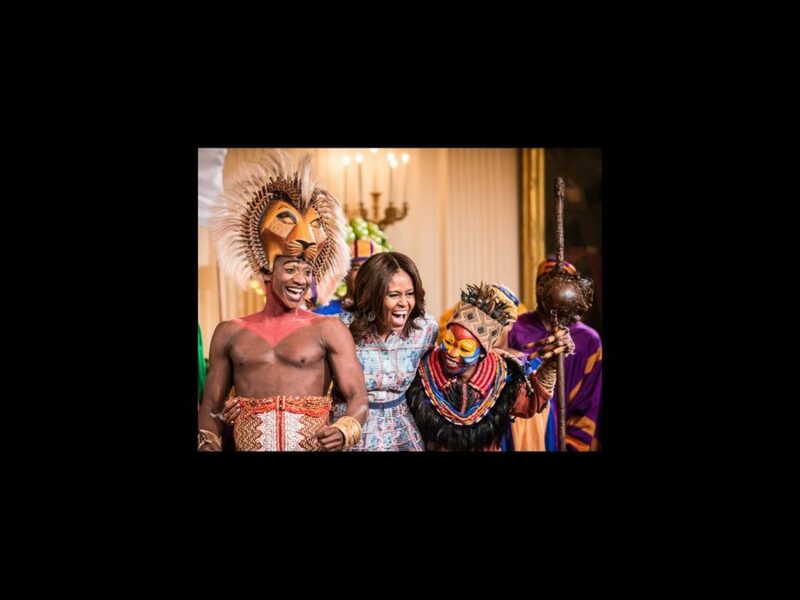 The Lion King dazzled First Lady Michelle Obama and special guests at the White House on July 18. The stars of the Tony-winning musical's national tour were on hand as a treat for the 54 children and other special guests attending the "Kids' State Dinner." The event honored winners of the Healthy Lunchtime Challenge, a nationwide contest for children to create an original, delicious and healthy kid’s food recipe, from the First Lady's Let's Move! Inititaive. Check out the exciting performance and Mrs. Obama's priceless reaction below.